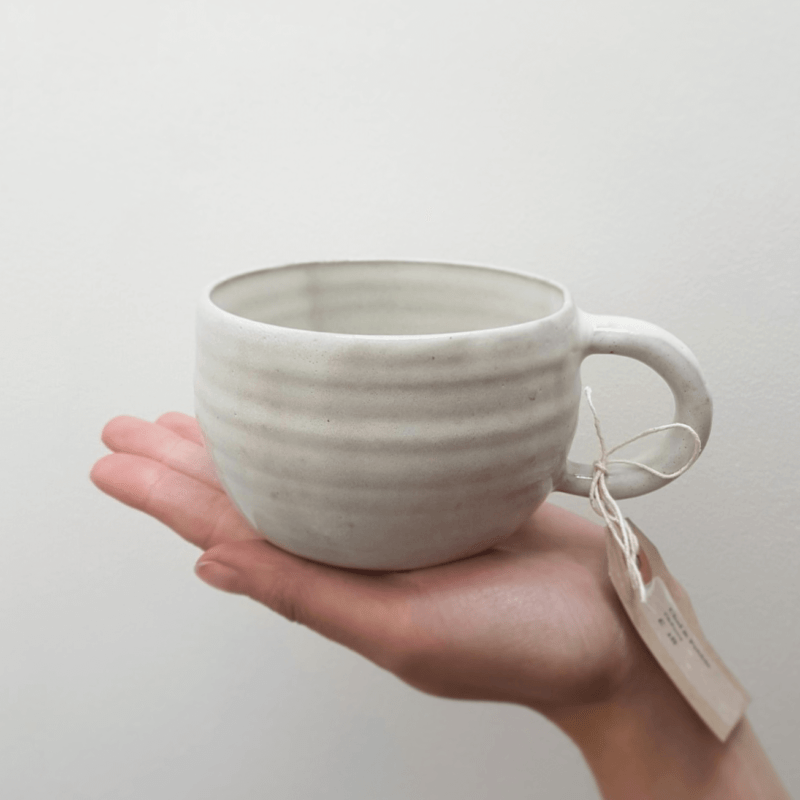 Part of my new range of mugs made on the kick wheel from a toasted stoneware clay. It features a white glaze which has been carefully dipped and hand painted on. The bottom has a carved hidden footring and is stamped ‘Clod & Pebble’ These cups can go in the dishwasher without a problem, but I always like to suggest hand washing to preserve the beauty of the glaze.